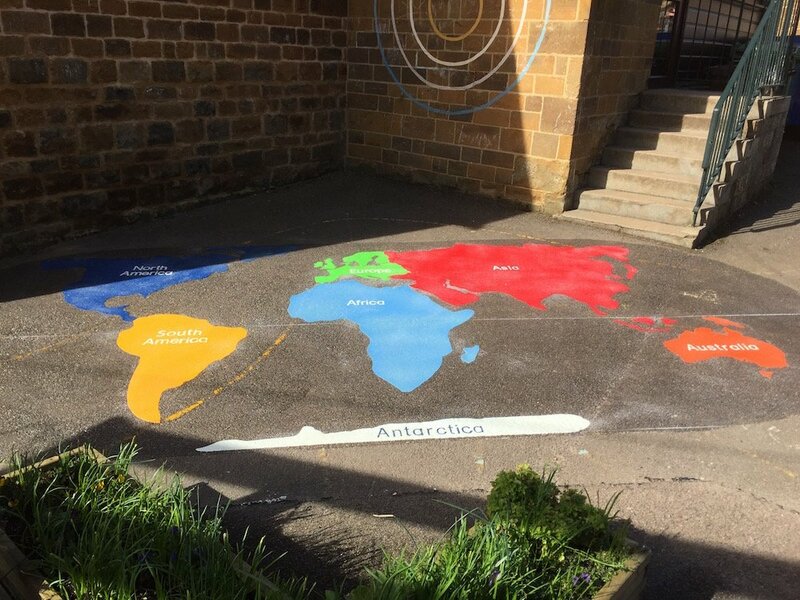 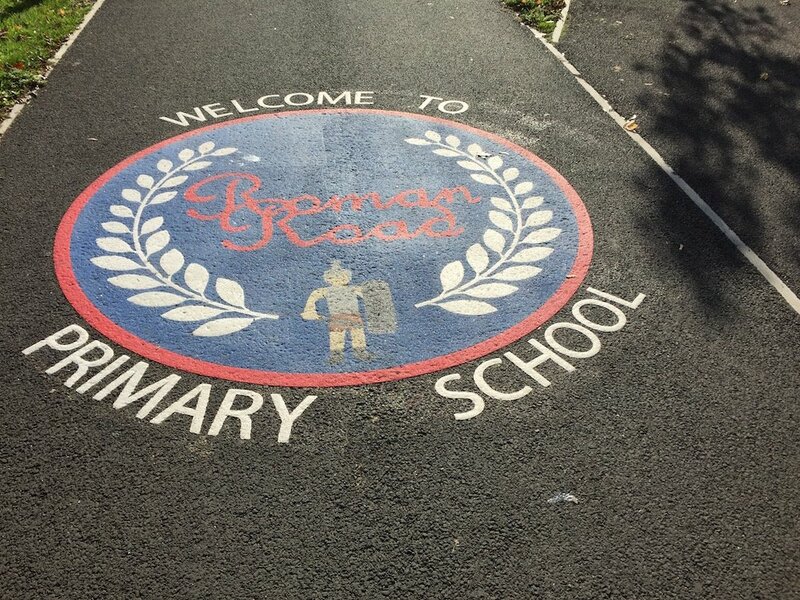 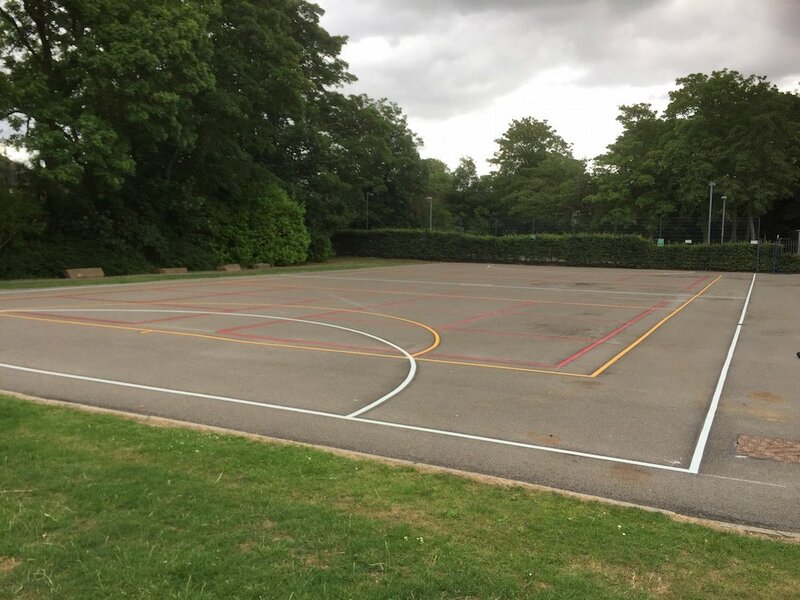 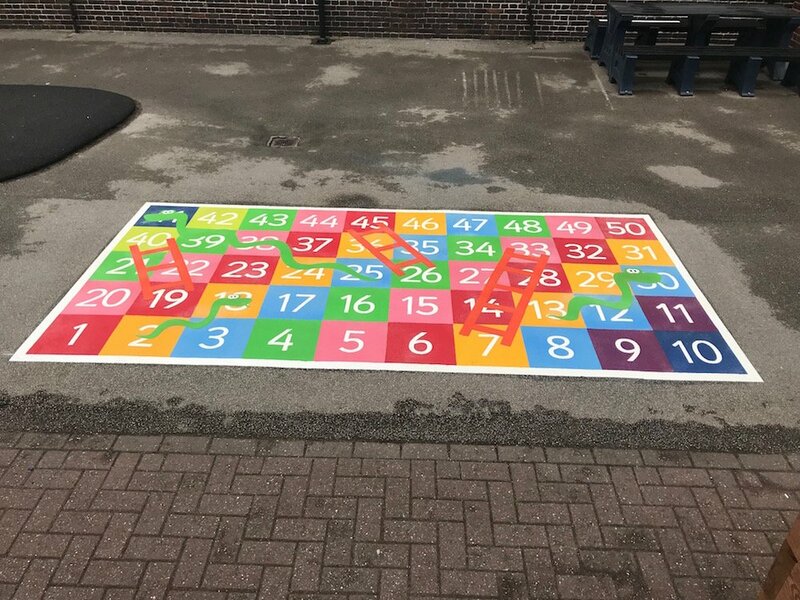 first4playgrounds installation team just completed a range of bright and colourful playground markings at a Primary School in North London. 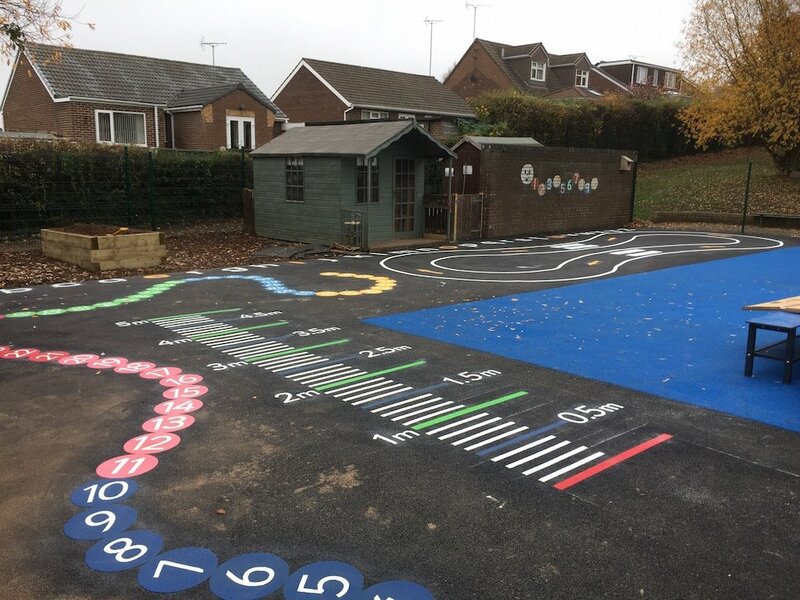 The markings really improved the look of the playground making it a much more inviting play area for young children. 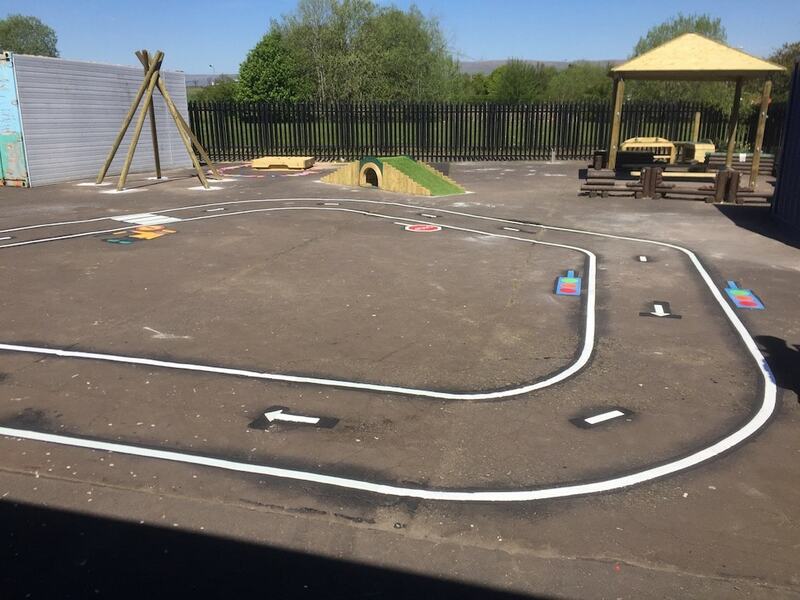 The team installed a cycle track. 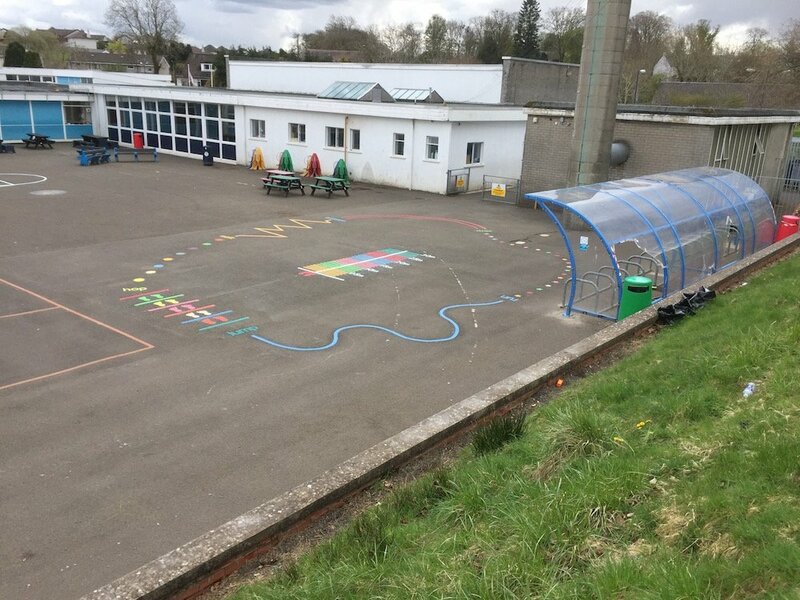 The track contains two traffic lights, a lollipop person, a zebra crossing and a stop sign, the track also contained dashed arrows pointing in the direction of the flow of traffic. 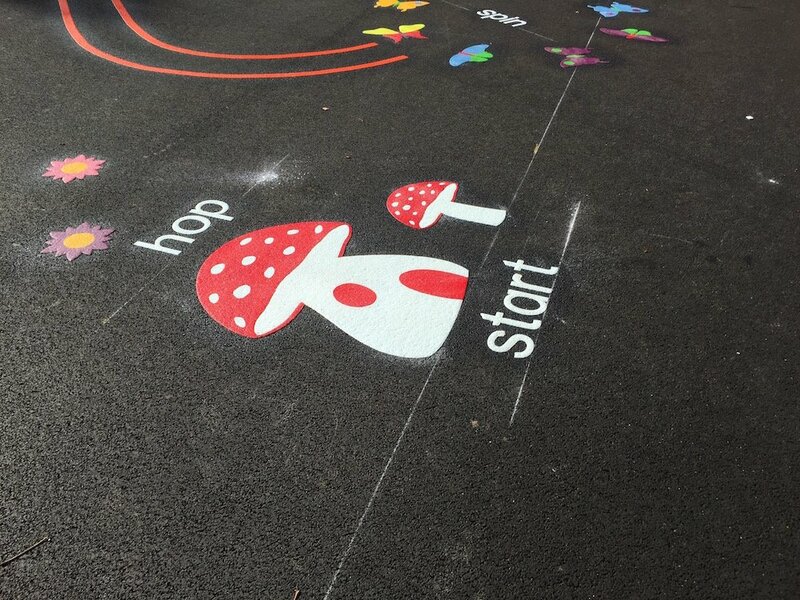 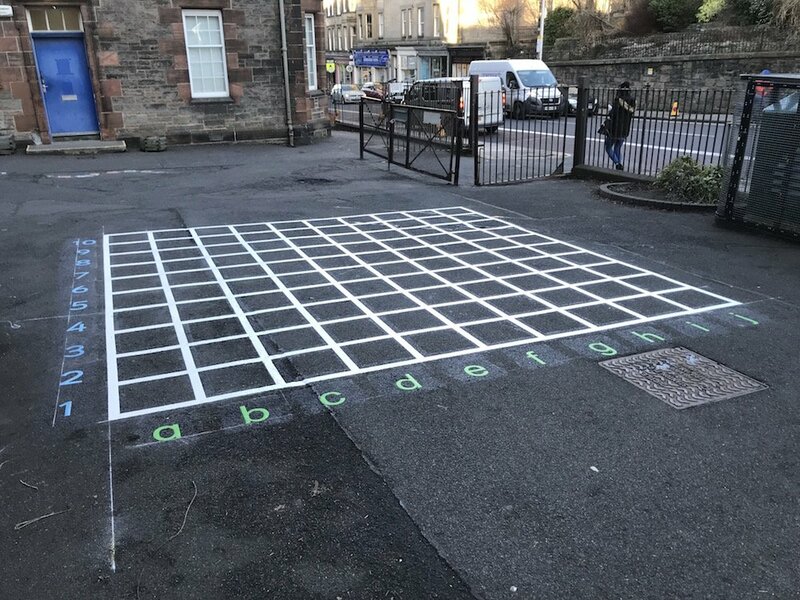 The cycle track can be used for bikes and scooters and is a great fun way for young children to prepare for actual road safety.